Here is another of Brisbane's wool stores. Originally Queensland Primary Producers Association Woolstore No 3, it is different from most of the other wool stores in terms of its location. Set back from the river and the railway line that serviced the wharves and the sugar refinery, this wool store must have relied on motor transport to shift bales of wool in and out. Like the others though, it has now been converted into a mix of commercial and retail space. This building was recently struck by lightning in one of Brisbane's fierce electrical storms. There was damage to brickwork and falling bricks caused further damage to windows and vehicles below. 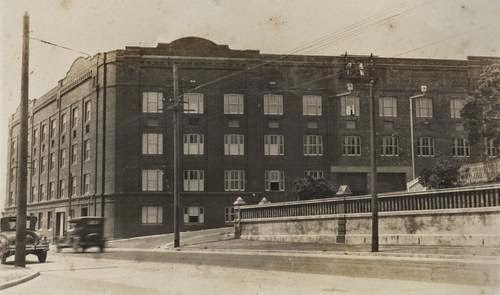 According to the BCC heritage pages, the wool store was built in 1935. Here is a picture of it during its construction. 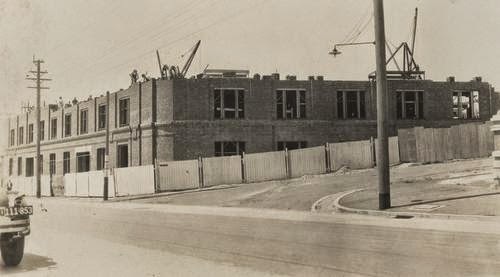 The contractors for the wool store were Stuart Brothers and here is a photograph of the finished building. Queensland Primary Producers Co-Operative Association (known usually as Primaries until a later merger with Mactaggarts when it became Primac) was formed in 1920 by returned AIF digger and wool broker Alan Walter Campbell, one of the state's leading businessmen and entrepreneurs. In November 1920 he was also instrumental in the formation of QANTAS. He provided business mentoring to the founders Sir Hudson Fysh, Paul McGuiness and Sir Fergus McMaster and was one of the early investors in the company. According to Sir Hudson Fysh, Campbell was present at the meeting in Brisbane's Gresham Hotel when the paperwork to register the company was executed. Alan Campbell was the temporary secretary once the company was established and became a board member. It was Campbell at a board meeting in 1933 who moved the motion for QANTAS to join with Imperial Airways to operate services to England. 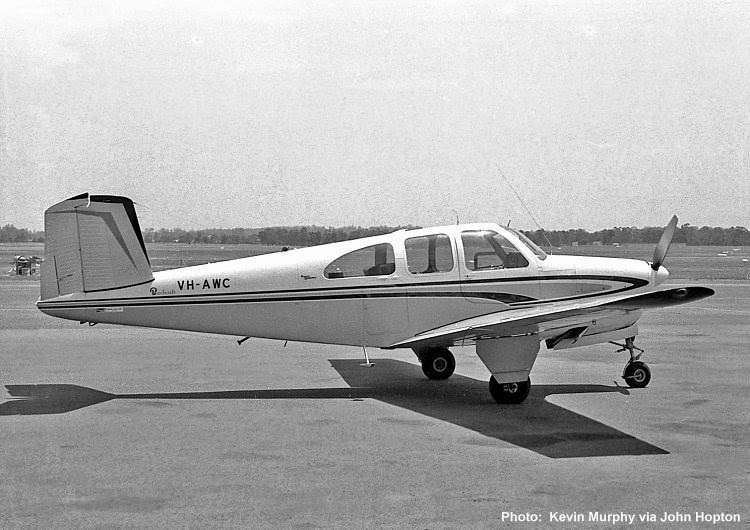 The photograph above is of a Beechcraft Bonanza P-35 assembled in Sydney in 1963 and then registered to Queensland Primary Producers Co-Operative Association in Longreach, by then one of Australia's leading graziers' organisations. Note the registration number on the rear fuselage: VH-AWC. The prefix VH is the designation for Australian aeroplanes, and in this case the suffix AWC represents the initials of Alan Walter Campbell; the registration is a tribute to the Association's founder. When he retired from office in 1968, then aged 88, Primaries had assets of $18 million.